Five Brothers Insurance has been providing a broad range of insurance policies for residents and businesses throughout Central Florida for over 28 years. From flood insurance, homeowners insurance, boat insurance and car insurance to commercial insurance, business insurance, workers compensation insurance and more, Five Brothers Insurance can meet nearly any insurance need. Flood insurance is vital in Florida, where hurricanes and afternoon thunderstorms are a seasonal occurrence, and for flood insurance Florida home and business owners can trust to protect them in the event of a loss, more and more people turn to Five Brothers Insurance. We have the industry insight and experience necessary to find you the best insurance policy to meet your unique needs. We work with the industry’s most reputable carriers to ensure that each of our clients is covered when they need it most, and our customer-first approach ensures that each client’s needs and goals are met in an efficient and timely manner. 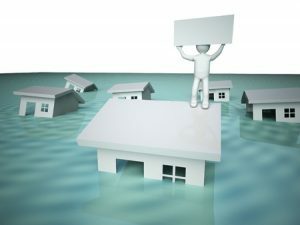 If you live in Tampa, New Port Richey, Holiday, Hudson, Homosassa or the surrounding regions and have been searching for the level of flood insurance Florida residents rely on, contact Five Brothers Insurance today for a no obligation consultation, insurance quotes and more or to request more information on our insurance services. We look forward to serving you and will work closely with you to determine your exact coverage needs, while providing you with insurance policies to meet any budget. Whether you need a single policy or have both business and personal commercial needs, Five Brother Insurance is here to ensure your assets are protected.